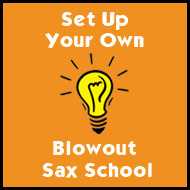 1)	play long notes 2)	listen to other saxophone players. Obviously the best players are those that practise the most often. There’s no getting away from the hard work if you want to be a top performer. However, hard work aside - almost all of my students want to know the optimum approach to obtaining a good tone. Tonal concept can be described as how we perceive the sound of the saxophone’s tone. It’s a very diverse – there are many different tonal possibilities - as well as a highly personal thing i.e. the sound that you like! Again, Larry Teal advises in his book that selection of a “medium-faced, well-designed mouthpiece with a medium strength reed has great versatility and is capable of use in a variety of styles”. What he means is that with work, a player should eventually be able to produce a variety of different tones from the same set-up (e.g. 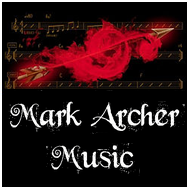 mellow, cool, rock or jazz edge, classical style and so on). There are a huge number of breathing exercises that you can do away from the instrument too to help with tone production. “Stand in front of a mirror. Slowly breathe in to the fullest possible extent, feeling the air get to the very bottom of your lungs and expanding those lower ribs in order to do so. With regard to embouchure development this will take time and patience. A combination of control and relaxation needs to be acquired. These factors might seem to be in opposition to each other but the aim is that the muscles in this area should become totally at the command of the player. Anyway, getting back to playing those long notes…! Playing long notes is probably the single most important thing that a beginner can do. It’s effectively the most efficient way to improve if you genuinely work at it. In order to do all these things, one exercise that I recommend to my students is taken from Jackie McLean’s book ‘Daily Warm-Up Exercises for Saxophone’ and is simply called “Long Tone Warm-up Exercise”! The exercise advises that you play a chromatic scale from F in the upper register down to F in the lower register (i.e. F, E, Eb, D, Db, C, B, Bb, A, Ab, G, Gb, F). Attack each note without tonguing (even the low notes). Play each note 5 times: 1) Loud 2) Medium 3) Soft 4) Medium 5) Loud. Hold each note as long as you can. And finally, don’t forget that the tonal concept that you have is greatly influenced by the sound that you hear in your head. 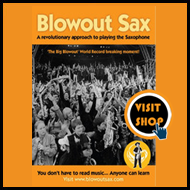 Your knowledge and understanding of a variety of different saxophone tones / styles will inform your tone production enormously. Go out of your way to listen to as many different saxophone players as you can – both live and recorded. You can also develop your tonal concept by listening to great singers and players of other instruments.